The Plitvice Lakes are located in Plitvice Lakes National Park in Croatia. There, emerald forests surround azure waters fed by mountain rivers and streams that cascade over unique mineral deposits that cause the landscape to constantly move and shift. It’s a place where nature really likes to show off just how beautiful it can be. See more of my photos from Croatia here. 02. 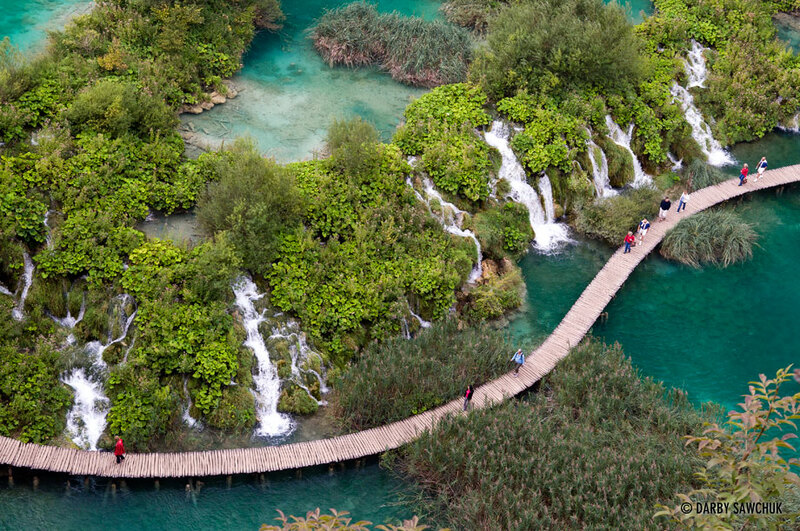 Visitors to Plitvice Lakes National Park in Croatia walk above lakes and waterfalls on raised walkways. 03. 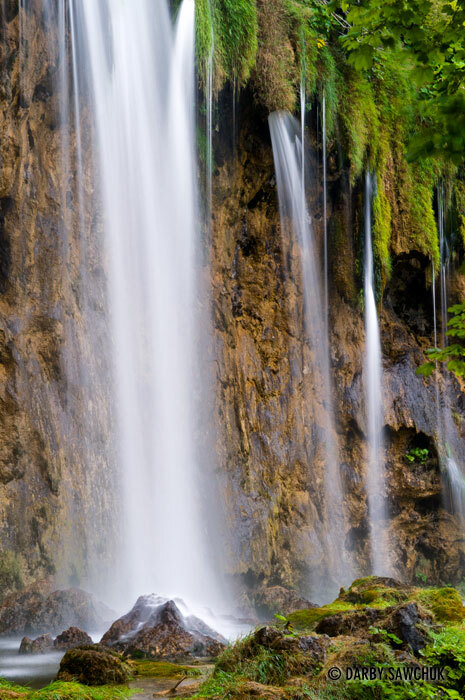 The Large Waterfall (Veliki slap) in the Plitvice Lakes National Park, Croatia. Note the size of the waterfall compared to the people on the left side of the photo. 04. 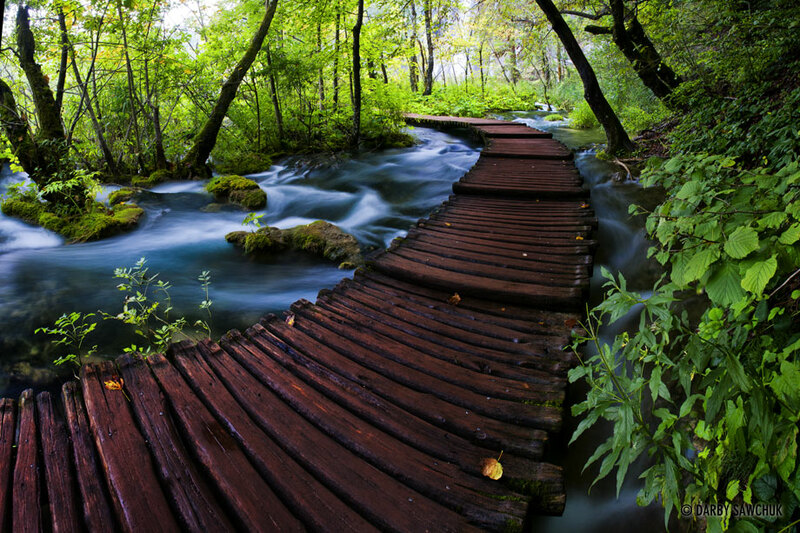 A walkway over a river in the Plitvice Lakes National Park, Croatia. 05. 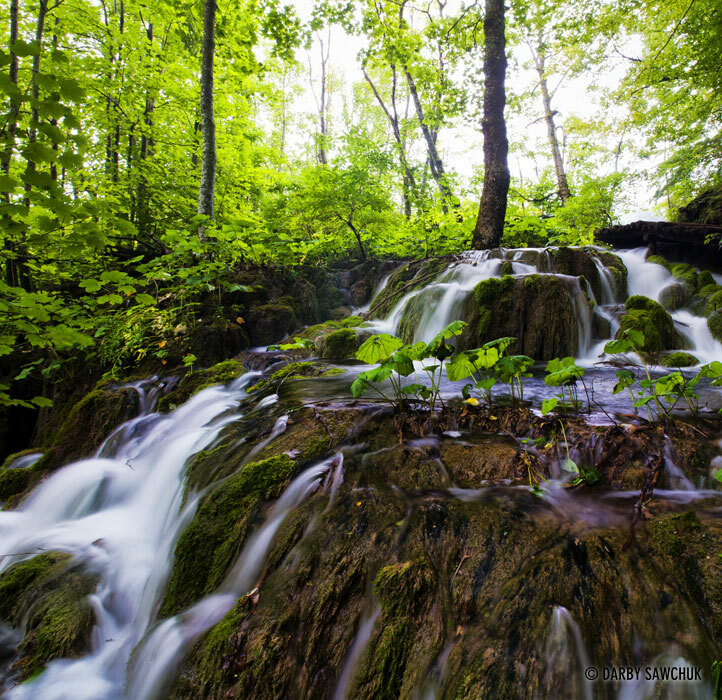 A small cascade beneath the forest in the Plitvice Lakes National Park, Croatia. 06. 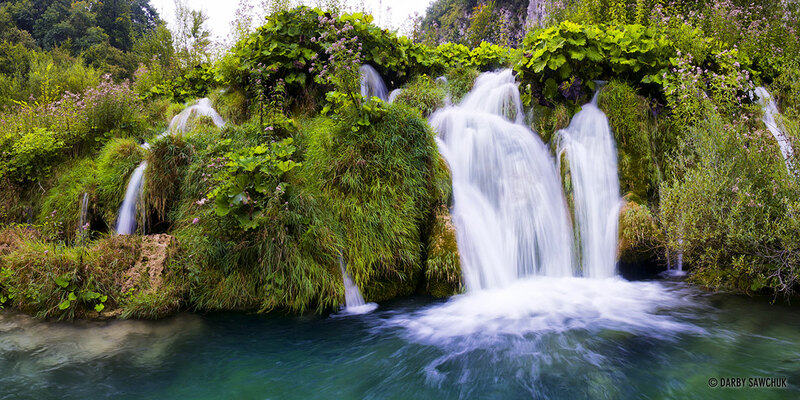 A waterfall flows over plants growing on a natural dam in the Plitvice Lakes National Park, Croatia. 07. 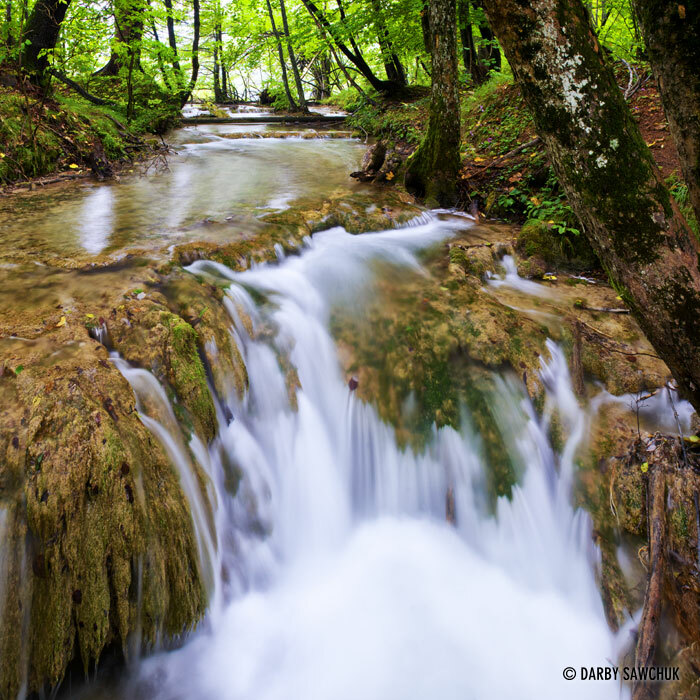 A river rushes through the Plitvice Lakes National Park, Croatia. 09. 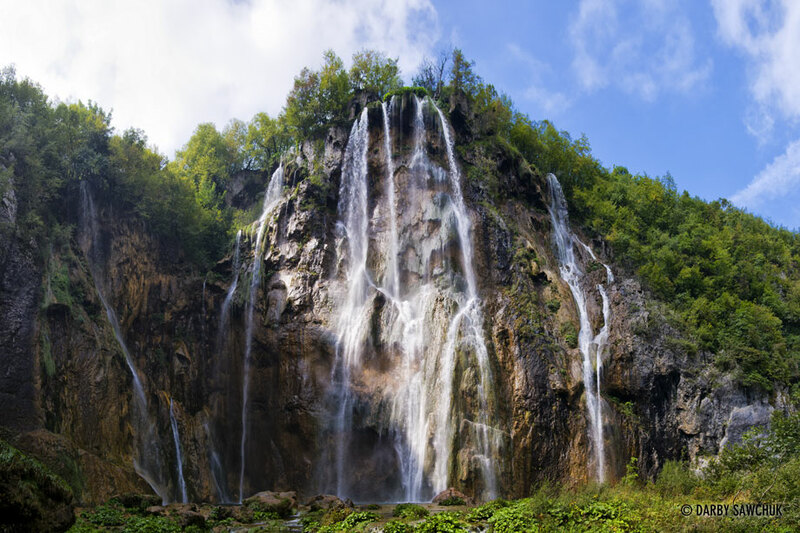 The Large Waterfall (Veliki slap) in the Plitvice Lakes National Park, Croatia. 10. New waterfalls are always being formed in the Plitvice Lakes National Park, Croatia. 11. A waterfall splashes into blue waters in Plitvice Lakes National Park, Croatia. 12. 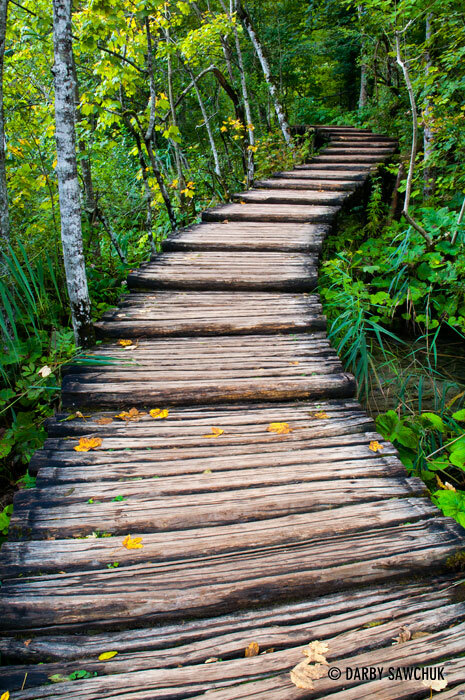 A wooden walkway below a forest in the Plitvice Lakes National Park, Croatia. 13. 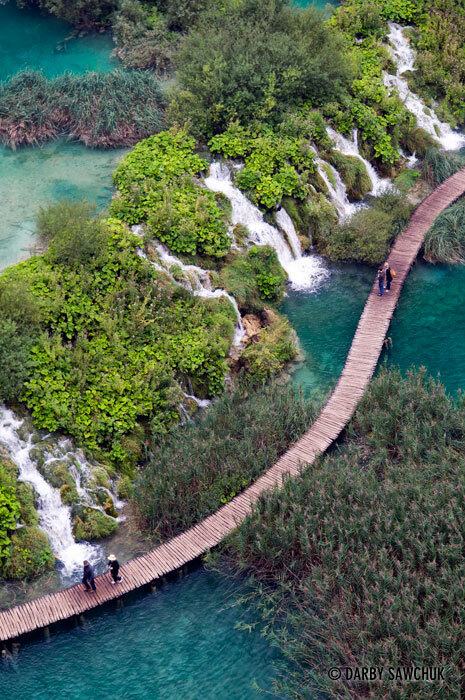 Visitors to Plitvice Lakes National Park in Croatia walk above lakes and waterfalls on raised walkways. 14. A couple relaxes in front of the stunning view of the azure waters of the Plitvice Lakes National Park, Croatia. 15. Waterfalls pound the rocks below in the Plitvice Lakes National Park, Croatia. 16. 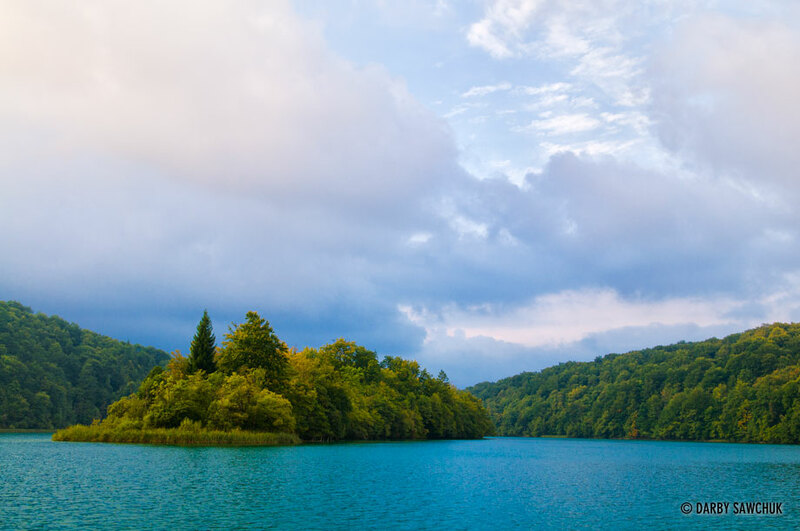 A small island in the middle of a lake in the Plitvice Lakes National Park, Croatia. 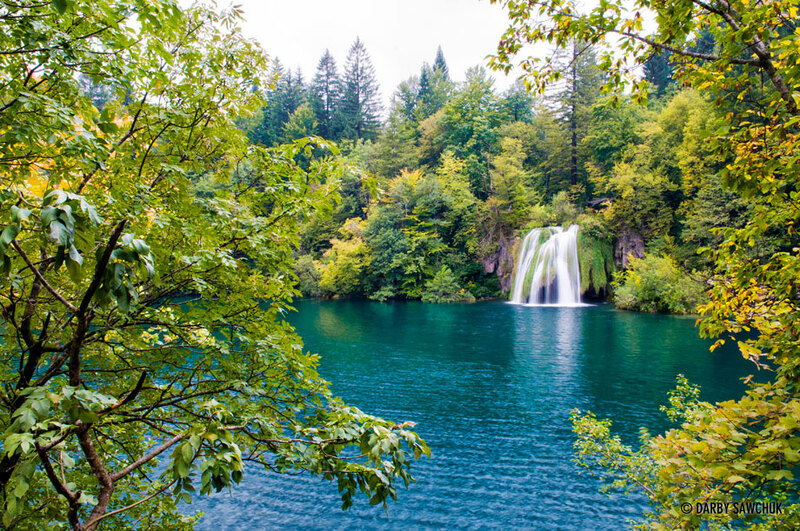 Keywords: photos of the plitvice lakes croatia, images of the plitvice lakes, pictures of the plitvice lakes, landscape photography, travel photography, fine art prints, stock photography. Fantastic work…though am sure not to be first or last to say this. 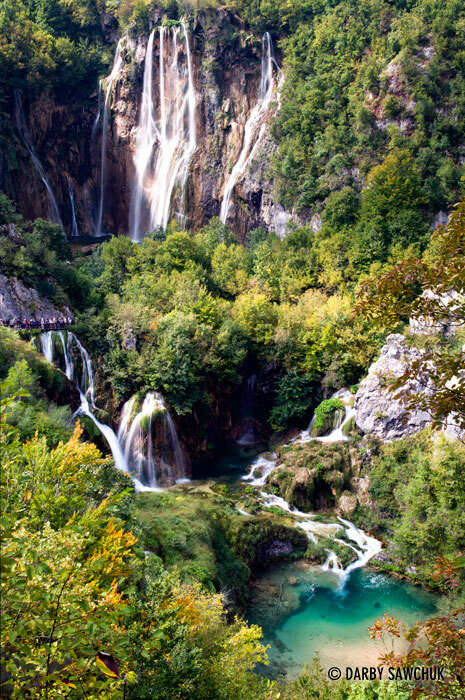 I did not know that croatia is so beautiful and seeing the Plitvice Lakes National Park waterfall is so awesome…serene and breath taking….wordless….sooooooo beautiful. Luv to receive pics of any parts of the world regarding anything. Great photos! I have been several times in Croatia but unfortunately not visited the Plitvice Lakes. Maybe next time. Absolutely stunning! The views are amazing, the waterfalls breathtaking. But it is the elevated walkways, without railings, are what truly blew me away. Talk about taking a walk in the trees. Thank you for sharing your beautiful photos. Very nice photos. I hope once I manage to go to Plitvice lakes.